Scoliosis is a medical condition characterized by an abnormal lateral curvature of the spine, either to the left or to the right. Adolescent idiopathic scoliosis (AIS) is a type of scoliosis that occurs in children between 10 to16 years of age. The term “idiopathic” means that the cause of scoliosis is unknown; the exact cause of idiopathic scoliosis is unknown in most of the cases, but there seems to be a genetic predisposition. The incidence is higher among girls when compared to boys. The common signs and symptoms of adolescent idiopathic scoliosis include limb length inequality, uneven shoulder levels or protrusion of one shoulder blade, walking abnormality, abnormal curvature of the spine, inequalities in the levels of the hip, uneven trouser lengths, ill-fitting clothing, and back pain. Adolescent idiopathic scoliosis is usually noticed by a parent or detected by a teacher during a routine physical examination. History: To diagnose the problem your doctor will ask about your child's past and present medical history as well as any family history of scoliosis. Physical Examination: Yourdoctor will perform a physical examination using the forward bending or Adams test,to define the curve. Adams Forward Bend Test - During this test the child is asked to bend forward with the arms extended forward. Your doctor looks for the symmetry of the hips and shoulders, and the curvature of the spine from the sides, front and the back. Any abnormalities along the back could be a sign of scoliosis. X-ray: X-ray of the spine is taken from the front and the side to confirm the diagnosis and also to measure the degree of the curvature. Neurological Examination: Here the patient’s reflexes are tested and any neurologic changes are noted. The treatment of adolescent idiopathic scoliosis is important because if left untreated, the curvature may result in significant deformity and can cause psychological distress and physical disability for your child. In addition, the deformity can have serious physical consequences. As the vertebrae rotate, the rib cage is affected, and this can lead to serious heart and lung problems. In order to compensate for the major curve and maintain the balance, the spine may develop a secondary curve above or below the AIS curve. 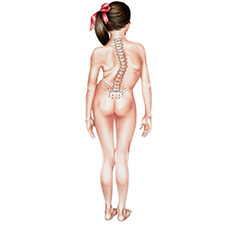 Observation - If scoliosis is mild with a curve of less than 15 to 20 degrees, the child is observed for a specified period of time, to monitor the curve. Bracing - Bracing is recommended to prevent the progression of the scoliotic curve. It is effective in growing children with a spinal curvature between 20° and 40°. Surgical correction of adolescent idiopathic scoliosis may be necessary if nonsurgical treatment fails and if the curvature is severe. The aim of the surgery is to correct the curve, prevent curve progression and to stabilize the spine. 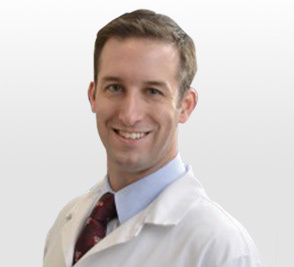 Scoliosis surgery usually involves spinal instrumentation (i.e. rods, screws) and fusion (bone graft) that secures the spine to stop curve progression. Your spine surgeon can discuss all aspects of the procedure, including risks and benefits, so that you and your child are well informed. If your child develops signs and symptoms suggestive of AIS consult your doctor immediately. They are the most reliable resource to answer all your questions and help you understand the condition better.